Gypsum, Eagle, Edwards & Vail’s Colorado’s Premiere Moving Company. Vail Valley Colorado’s Premiere Moving Company. Eagle, Colorado & Vail, Colorado’s Premiere Moving Company. Alliance Moving Systems is a highly qualified Allied Van Lines agent ready to help you facilitate your household move, interstate move, local move or international move. 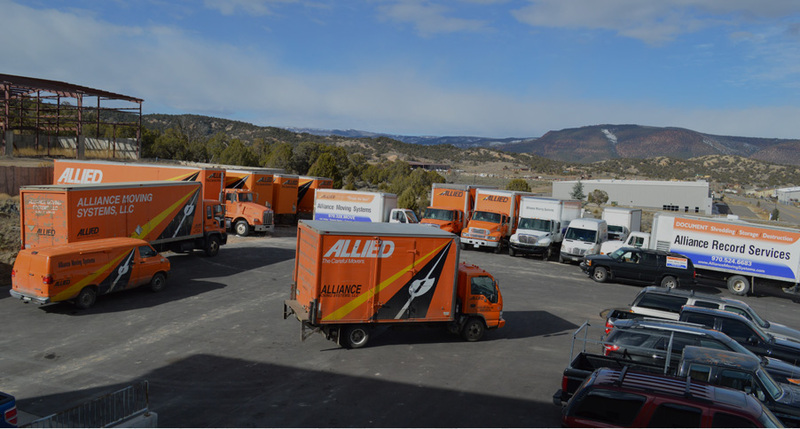 At Alliance Moving Systems, we understand that you’re not just moving your home or business to a new location. Your life is changing. And, with everything you have to think about during the relocation, you shouldn’t have to worry about the actual move. That’s what we do – and we are the best in the Rockies.. Packing and moving services for residential and commercial clients. Complete packing and crating / General Contractor storage program. Secure,climate controlled 15000 sq . ft. state of the art facility, with 24 hour security. Off-site economy storage rates with storage in-out services interior design shipment logistics and storage Residential and commercial relocation across the state and country. 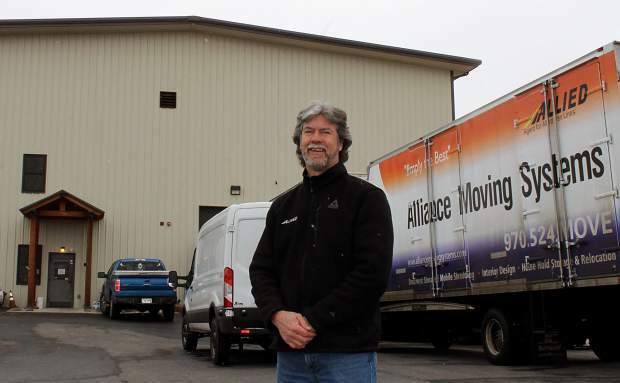 Watch the video below on "The top 10 mistakes to avoid when hiring a moving company"
EAGLE — Building Eagle's ice rink is like an Amish barn raising, only flat, says Andy Clark. Eagle's outdoor town park ice rink is one of the oldest traditions. It started when Eagle built its town park in the 1930's and continued this year the friday after tanksgiving when a group of volunteers gathered to start the work. 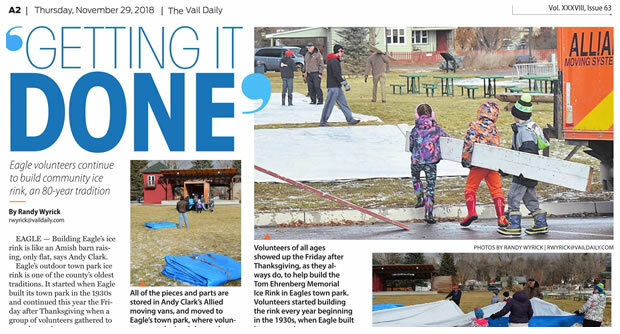 EAGLE — The great stuff doesn't change much, and that's why Andy Clark and a bunch of dads spend winter nights in Eagle Town Park with fire hoses in their hands, making sure one of Eagle County's oldest traditions continues. "It's like 'Field of Dreams' on ice," Clark said. "Every kid who skates on this rink should know that someone is doing this for them." Last week, First Lutheran Church of Gypsum asked and Andy Clark, of Alliance Moving Systems, responded. Now all that's needed is a few hundred locals and visitors who need some high-end furniture for their homes to come out and shop on Saturday, Feb. 10. This story begins 130 years ago, when a group of valley pioneers established the Lutheran congregation in Gypsum. In 1890, they constructed the little white church that still stands at the corner of Eagle and Second streets. Over the past 13 decades, the congregation has persevered, although for years at a time the church couldn't employ a pastor and weekly services could not be held.